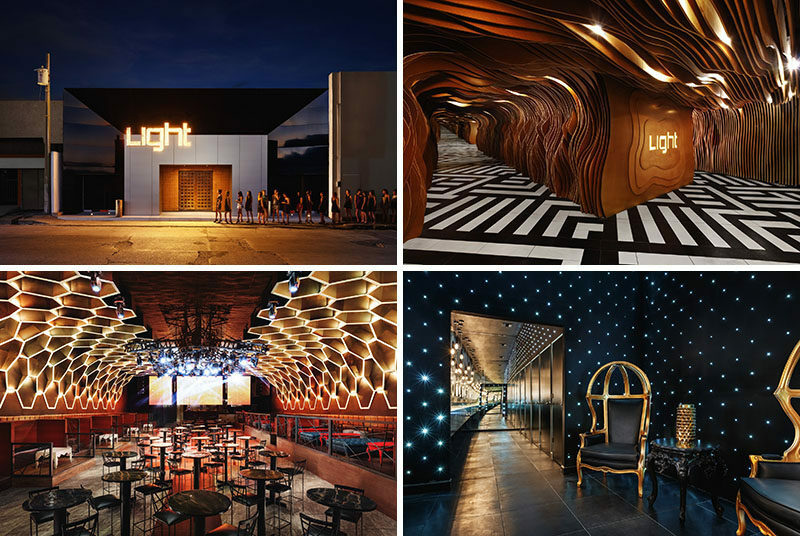 TAMEN arq were tasked by their clients to renovate an existing nightclub in Hermosillo, Mexico. 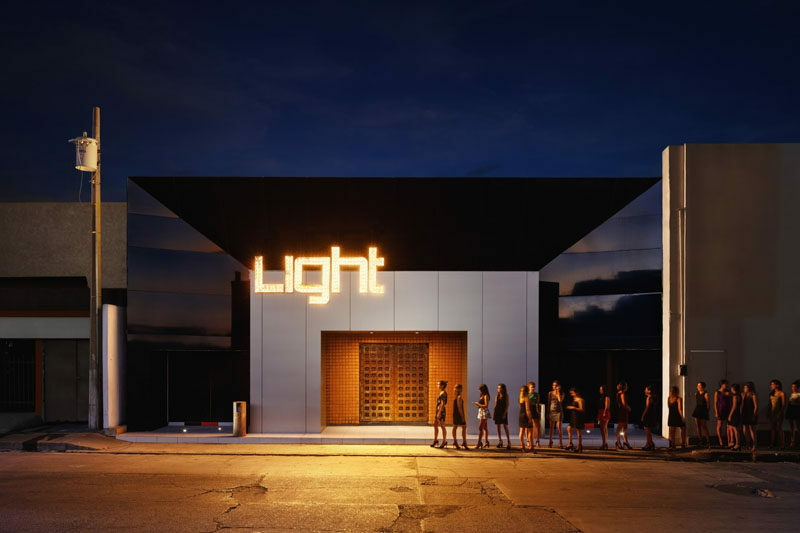 The exterior of the nightclub, named Light, is a large box with geometric angles, which is a strong contrast to the interior. 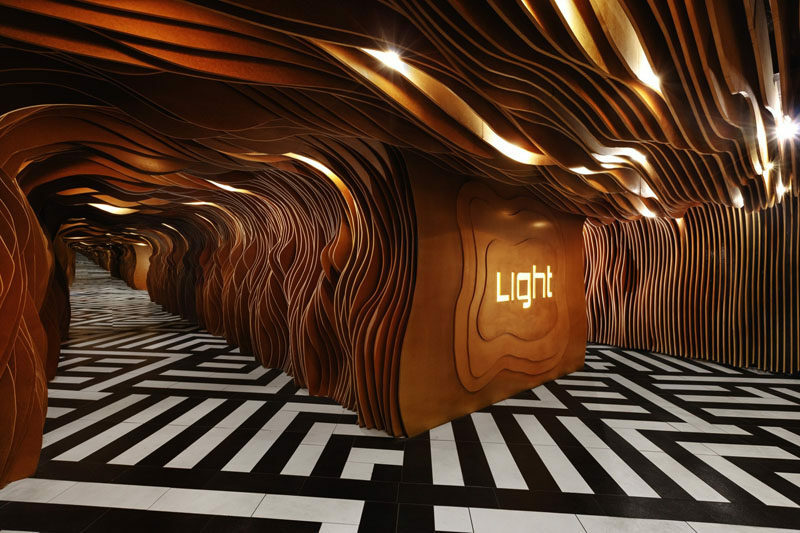 Inside, lighting is hidden within wood panels with organic curves, and a mirror at the end makes the space appear endless. 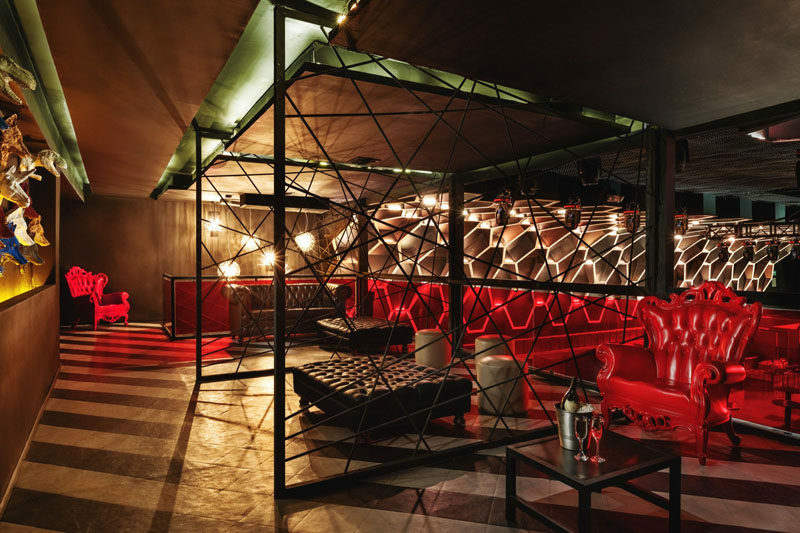 Once you reach the main space, the area has huge ceilings decorated with honeycomb details and dramatic lighting. At the end of the main area, there’s more seating. At the back of the main area, there’s the bar/serving area, with a large golden lamp that’s almost 10 feet (3m) in diameter. 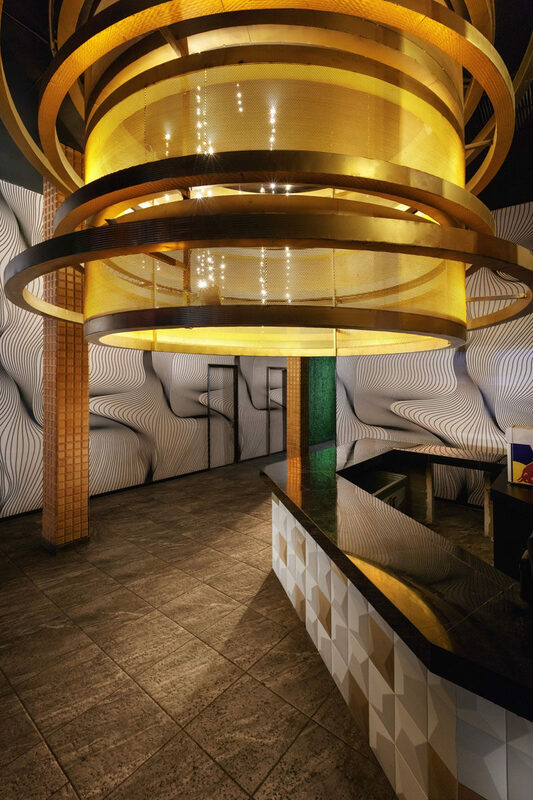 In the bathrooms, the mirror effect has been used again to make the space look larger than it actually is, and small lights create a starry sky effect.